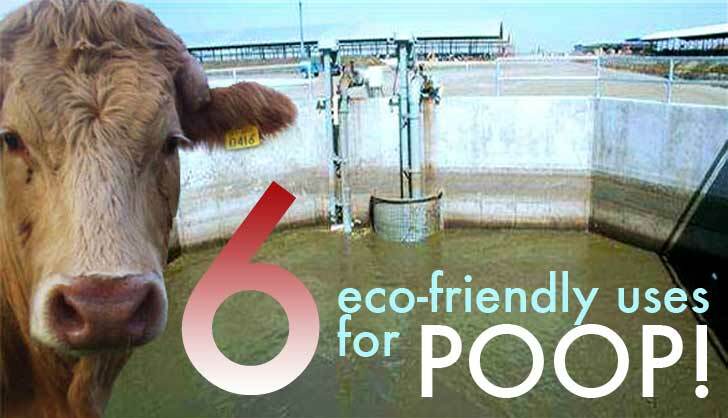 6 Incredible Green Projects That Put Poop to Use! From energy-generating toilets to poop-powered vehicles, there’s a wealth of innovative eco-friendly projects out there that transform human waste into a valuable resource. Read on for a look at some of our favorite poop-a-rific green projects! Many developing countries do not have toilets or even proper sewage disposal systems, which can lead to the spread of bacteria and water-born illnesses. With these issues in mind, designer Virginia Gardiner created a solution to both problems, called the LooWatt. 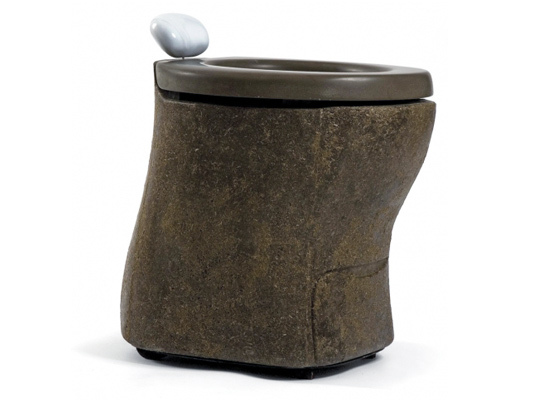 The eco-commode is itself made from poop – it has been molded from 90% horse dung, with a biodegradable lining. Aside from creating a sanitary place to sit and think, when the LooWatt is full, the waste can be turned into energy with the aid of a biodigestor, bringing sanitation and an energy source to underdeveloped countries. Poop fuel, poop toilets, poop bricks – how about poop meat? 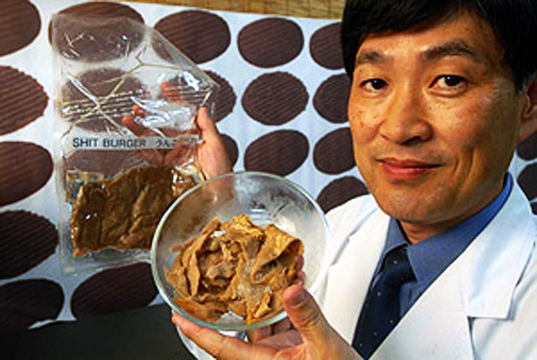 Scientist Mitsuyuki Ikeda at the Environmental Assessment Center in Okayama has developed what has been nicknamed the “poop burger.” Created by extracting protein and lipids from “sewage mud” (human poop), the elements are whipped into “meat” in an exploder, then mixed with savory ingredients like soya and steak sauce. Meat eaters and vegetarians alike may recoil, but the faux meat was created with the goal of reducing carbon emissions in mind, as the meatpacking industry contributes 18% of greenhouse gas worldwide. Building off of poop’s molding capabilities, students at the Prasetiya Mulya Business School in Indonesia developed the EcoFaeBrick, a lightweight brick made from cow patties. 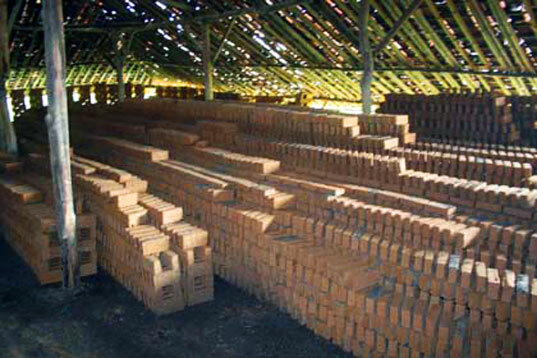 The durable bricks are 20% stringer AND lighter than clay bricks, and since the material is natural and not quarried, their usage would cut down on the environmental destruction that quarrying creates. EcoFaeBricks create a solution for cow waste, while saving local environments, and providing local farms with a new revenue stream. 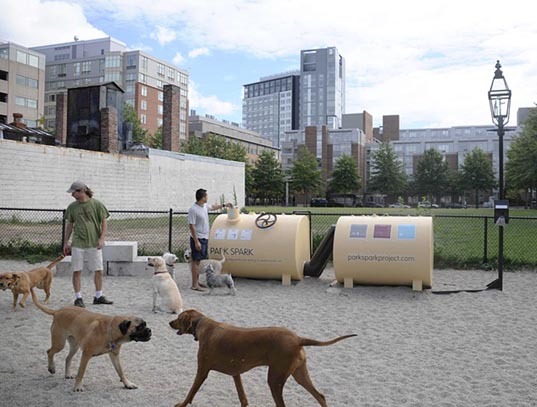 A park near MIT in Cambridge, MA that has a popular dog run has become energy self-sufficient, thanks to a project by Matthew Mazzotta. Dubbed “Park Spark,” the project asks dog owners to dump dog doo into Mazzota’s special digesters, rather than the trash. Funded by the city and the school, the large drums then convert the natural methane that is given off by the poop into energy, which powers the park’s street lamps at night. Park Spark also helps cut down on naturally emitted greenhouse gas. Volkswagen should also take note – Bristol, UK-based waste treatment company, Geneco has converted a cute VW Bug into a bio-fuel guzzling machine. 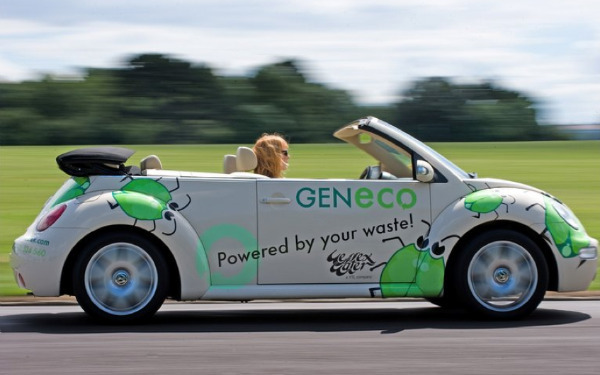 Using the solid waste from 70 homes, the Bio-Bug could drive 10,000 miles a year with a fuel-efficient of 5.3 miles per cubic meters f the bio-gas. The Bug can also run on traditional gasoline as well. The Bio-Bug, unlike other bio-fueled prototypes, runs more cleanly, with a comparative performance to petroleum-based fuels. Big companies are also recognizing the power of poop. Hewlett Packard, Microsoft and Google have investigated partnering with American dairy farmers, considering the possibility of creating poop-powered data centers. The initial equipment investment may be what is holding them back, but the renewable power is great, with the average cow pooping enough power to light a 100 watt lightbulb. It's too bad that elephant dung used to make hand made paper was not included. A group known as Haathi Chaap. 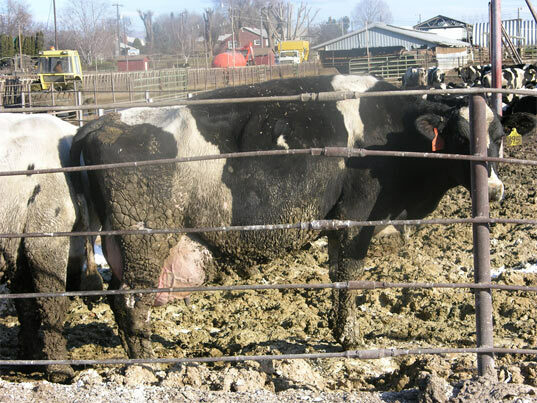 See link http://elephantpoopaper.com/index.html in the case of poop burger- not a great idea. I believe it's a universal reaction, not just a western culture response to even contemplate eating human excrement- however processed. Not a good idea - ever. Poop-burgers cross the line from being environmentally responsible to just plain gross. Many developing countries do not have toilets, or even proper sewage disposal systems, which can lead to the spread of bacteria and water-born illnesses. With these issues in mind, designer Virginia Gardiner created a solution to both problems, called the LooWatt. The eco-commode is itself made from poop- molded from 90% horse dung, with a biodegradable lining. Aside from creating a sanitary place to sit and think, when the LooWatt is full, the waste can be turned into energy, with the aid of a biodigestor, bringing sanitation and an energy source to underdeveloped countries. Big companies are also recognizing the power of poop. Hewlett Packard, Microsoft and Google have investigated partnering with American dairy farmers, to discuss the possibility of creating poop-powered data centers. The initial equipment investment may be what is holding them back, but the renewable power is great, with the average cow pooping enough power to light a 100 watt lightbulb. Poop fuel, poop toilets, poop bricks- how about poop meat? Scientist Mitsuyuki Ikeda at the Environmental Assessment Center in Okayama has developed what has been nicknamed the “poop burger.” Created by extracting protein and lipids from “sewage mud” (human poop), the elements are whipped into “meat” in an exploder, then mixed with savory ingredients like soya and steak sauce. Meat eaters and vegetarians alike may recoil, but the faux meat was created with the goal of reducing carbon emissions in mind, as the meatpacking industry contributes 18% of greenhouse gas world wide. + Poop Burger And so poop happens, and thanks to researchers happens again and again into useful energy and products. Now that’s poop for thought.